New music from Bob Dylan, an open letter to Pope Francis from Lourd de Veyra, and more. 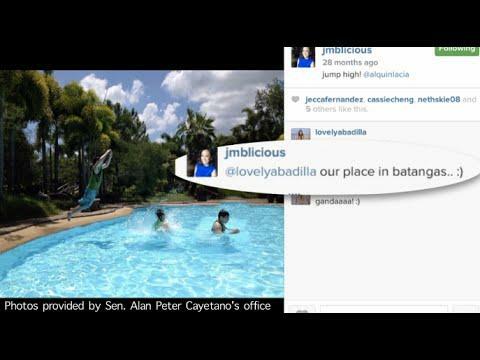 Vice President Jejomar Binay on Friday defended the Instagram posts of his youngest daughter that were presented at a Senate hearing as proof that their family owns a controversial farm in Rosario, Batangas. "Alam mo ba nakakalungkot, ako’y sinisiraan pati ba naman ’yung anak ko na bunso? Isinasama pa sa kinukutya at hinahamak. 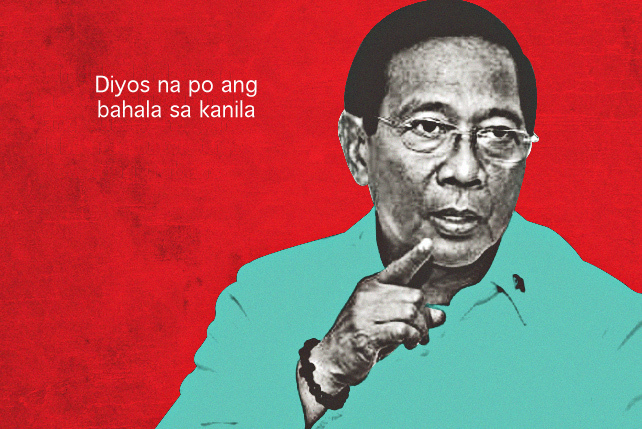 Bahala na Diyos sa kanila," Binay said in a radio interview. Senator Alan Peter Cayetano, who presented the photos of Joanna Marie Bianca Binay on Instagram, said, "I didn’t want to involve anyone but wala akong choice. This is the evidence. I didn’t want to include the children or the friends." ...if this House Bill passes, anyway. "The use of credit cards or debit cards will become an acceptable way and a convenient way to pay taxes," said Parañaque Representative Eric L. Olivarez, author of House Bill 5095. He said allowing the use of credit cards or debit cards for the payment of taxes could help curb tax evasion, as people with no cash on hand could settle their obligations through credit. Under his proposal, the taxpayer may not use the credit or debit cards issued under the name of a person other than himself for the payment of his taxes. The bill also mandates the Bureau of Revenue to select companies to process credit and debit cards on its behalf, and these companies may charge taxpayers a reasonable and regulated amount as processing fee. In an essay published in Bloomberg Businessweek, Apple CEO Tim Cook opens up on his sexuality. He wrote, "For years, I've been open with many people about my sexual orientation. Plenty of colleagues at Apple know I'm gay, and it doesn't seem to make a difference in the way they treat me. Of course, I've had the good fortune to work at a company that loves creativity and innovation and knows it can only flourish when you embrace people's differences. Not everyone is so lucky." The CEO continued, "While I have never denied my sexuality, I haven't publicly acknowledged it either, until now. So let me be clear: I'm proud to be gay, and I consider being gay among the greatest gifts God has given me." A team from the operators of MTR (Mass Transit Railway) Hong Kong invited by MRT Corp to audit the aging 16.9-kilometer MRT-3 rail line, dubbed its performance as "overall unsatisfactory." They linked the train's unsatisfactory performance to its "inappropriate maintenance." The audit team also expects the condition of MRT-3 to become progressively worse if there would be no sufficient intervention for its upkeep. A Senate panel has called on the Office of the Ombudsman to expedite the resolution of the complaints filed against PNP Chief Director General Alan Purisima to ensure the integrity of the police force. "The PNP chief must possess utmost integrity and exercise transparency (as he is) a public servant serving under the mandate and trust given him by our countrymen," the Senate Committee on Public Order and Dangerous Drugs, headed by Senator Grace Poe, said Thursday. Early this month, the Ombudsman created a panel to probe Purisima over a supposed anomalous contract the PNP entered into with a courier service in 2011. Rock legend Bob Dylan will release a new album in 2015, he has confirmed, after he unexpectedly put out a cover of a Frank Sinatra song. The announcement comes ahead of the commercial release on Tuesday of "The Basement Tapes Complete: The Bootleg Series, Volume 11," a six-CD set of restored recordings of Dylan’s 1967 sessions with his ensemble The Band. A note in the boxed-set simply says: "’Bob Dylan, Shadows in the Night,’ New album coming in 2015." Exciting stuff. Crowds are already flocking to Manila North Cemetery as early as today. Among those present were Manila Mayor Joseph Ejercito Estrada and Vice Mayor Isko Moreno to inspect the cemetery’s conditions and security. Before leaving, the two also paid their respects to the late Fernando Poe Jr.
A Pasay City court issued a temporary restraining order on a plan to integrate the airport terminal fee into the prices of plane tickets. The order by Pasay City Regional Trial Court Branch 109 Judge Tingaraan Guiling came a day before the plan was to be implemented on November 1. In the order, Guiling restrained the Department of Transportation and Communications (DOTC) and Manila International Airport Authority (MIAA) from implementing Memorandum Circular No. 8, which ordered the integration, for at least 20 days. Everyone’s gearing up for the Pope’s highly anticipated visit to the Philippines next year. SPOT.ph blogger Lourd de Veyra writes some things for Pope Francis to keep in mind when he visits Tacloban. If you’d rather chill out and avoid the crowds this Halloween, sample some homegrown brews and de-stress this weekend. We’ve made it easier for you, so take your pick among the 10 must-try craft beers in Manila.